George Washington, action hero . . . Long before Washington was the old man on the dollar bill, he was a fatherless boy with few resources and even less education. So how did he become the most famous person in American history? I really surprised myself in how much I enjoyed this book, it spurred a touch of jealousy in this Canadian as I would love to read about the men that shaped this great country. 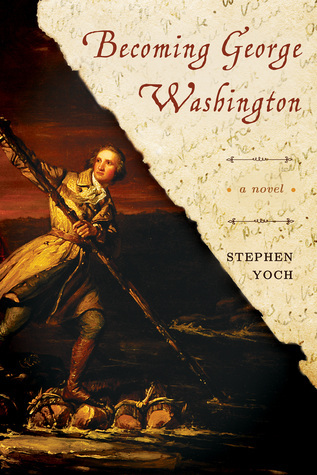 I think we all know about George and Martha Washington, but Stephen Yoch has taken us back to his teen years, a time that isn't that well known. There are many things that Becoming George Washington has going for it. First off was the writing style, it was engaging and it didn't take long to get lost in this book. This is the authors debut and I think he is off to a great start. It is evident that a vast amount of research went into this book, with well written descriptive details it wasn't hard to visualize the land in the 1700's, the life style as well as gruesome battle scenes giving this book the authentic feel of the time period. The character of George Washington was based on actual documentation as were events that took place - though remember it is historical fiction. This book explores his life from a teen until he is 27. He isn't the rich man that I had originally thought but a fatherless farmer. It isn't all a bed of roses either, with a dominating mother his struggles to build a life for himself and serve his country isn't an easy road. I learned a lot about Mount Vernon, his family, as well as his relationship with both Sally and Martha and even that little snippet about the White House. Not only did the author provide authors notes, but this time we got treated to extended authors notes, so for the person carving that little bit more, it is there. All in all a great debut that was entertaining, educational and has me hoping for a sequel. I'm on a mission to read more about US Presidents. 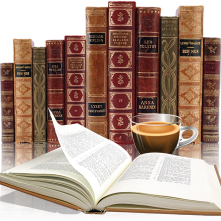 I want to read some nonfiction, but having some companion fiction always makes it more interesting. Sadly, I got no books this year. My mom got one I plan to borrow when she finishes, but I don't remember the title. The only book Santa brought was adult coloring books. But I did receive a few gift cards that I will be buying books with.